Vinyl isn’t just a part of music history. It’s an experience. And you are invited to be a part of the movement. 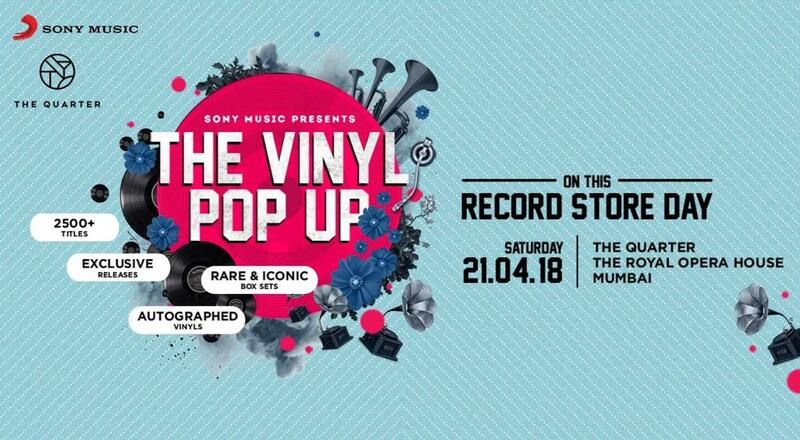 This Record Store Day (April 21st), head to The Quarter- Royal Opera House for a distinctively intimate and interactive experience – The Vinyl Pop Up Mumbai. Initiated by global music giant, Sony Music, the event celebrates the love for vinyl records, their history, and culture with uniquely curated activities that are sure to thrill the audiophile in you. Grab the chance to take home a piece of iconic rarity – dig through crates of specially selected titles, exclusive box sets, and limited edition signed records, to find “the one”. The list includes titles ranging from Led Zeppelin, Pink Floyd, and David Bowie to Jagjit Singh, Gulzar, A R Rahman and more – something for every music lover! Interact with other vinyl enthusiasts – take part in exclusive Listening Sessions along with workshops on DJ Scratching & Mixing Vinyls. Swap and share stories of your passion for records and music with like-minded buffs and spread the love! So be there, for a true-blue music experience – The Vinyl Way!